Leveraging on our extensive market knowledge, we are providing a high quality range of Flexible Steel Conduit. 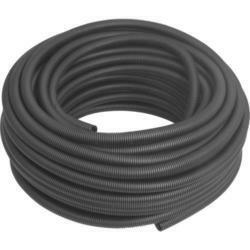 - Light weight nylon (PA6) corrugated flexible conduit. Color black or grey (RAL 7031). 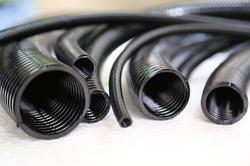 With immense market knowledge, we have been able to provide optimum quality Flexible Metal Conduits. Backed by a team of experienced professionals, we offer our clients wide range of LFH Coated Flexible Conduit that are obtainable in different sizes and dimensions. Fostered with enormous business understanding of this realm, we are involved in presenting a broad consignment of Steel Flexible Conduit Pipe.